As recently demonstrated by the 2011 Japan earthquake, tsunami and power plant disaster, or by the 2010 Island volcano eruption and ash dispersal that grounded many airlines over Europe, natural disasters are crossing borders and science disciplines. The herein described research topic Geosphere is of high value for fundamental science and allows evaluating hazards and assessing risks through high resolution Earth observation technologies. Innovative sensor systems, such as the anticipated Sentinel-1, will rocket the data streams that will be analysed by scientists. 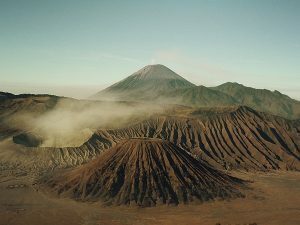 This will lead to unprecedented insights in time and space on how earthquakes, volcanoes and landslides work, eventually allowing to provide the necessary support to decision makers. The overall technical goal is to fully exploit past, and current satellite missions, especially aimed for developing recommendations and concepts for future missions (Tandem-L). 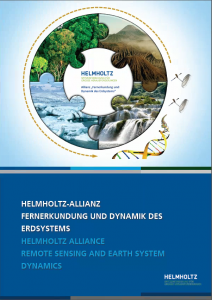 This project intends to investigate weaknesses and improve handling and interpretability of SAR and associated data streams, and to better understand geologic processes by combining remote sensing and field data, and developing new analysis and modelling technologies. To which degree will novel sensors allow improved understanding of long-term Geosphere processes such as earthquakes and volcanic activity? Can satellite based systems contribute significantly to early warning of threats such as volcano eruptions or even earthquakes? Can novel sensors contribute to asses short term man-made changes to the environment? Can spaceborne SAR instruments approach the accuracy of well-developed ground based positioning systems? How can non-dispersive (tropospheric) and dispersive (ionospheric) propagation errors be compensated in an optimal way? How are the processes of satellite-based data acquisition and geo-information extraction coupled in a meaningful way so that scientist can handle the information? How can spatially dense 2D satellite observations be fused with temporally dense 1D ground based observations? How do observed surface processes like surface deformation and texture changes relate to subsurface processes? How are Geosphere processes or phenomena like natural hazards linked to processes in the Hydro- or Cryosphere? How can satellite derived short-term observations be interpreted in the context of very long-term paleoseismic findings?